Microsoft seems to be giving out pirates free Christmas gifts as a they are accidentally allowing users to fully and legally (not ethically) activate Windows 8 Media Center Edition. The blunder/loophole works like this - to promote Windows 8, Microsoft not only offered cheap Windows 8 product keys but also topped it with some nice icing by offering free Windows 8 Media Center Upgrade Pack till January 31 2013. Now, the problem is these free Windows 8 Media Pack keys can be used to activate a fully-functional, activated genuine copy of Windows 8 without paying anything !! 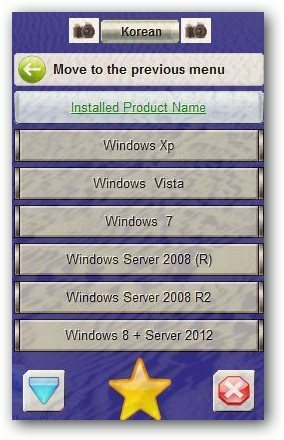 A Microsoft Key Management Server (KMS) is a legitimate service offered under Microsoft Volume Activation 2.0 solution which is used to activate volume licensed Microsoft products. The KMS allows automated activation of Microsoft products for organizations within their own network, eliminating the need for individual computers to connect to Microsoft for product activation. The internally hosted KMS server activates client computers for a period of 180 day, once a machine is activated it will attempt to communicate with the same KMS server every 7 days to renew it's activation resetting it license counter back to 180 days. If the KMS activated client is not able to re-communication to the KMS after 180 days, the machine will become unlicensed and go to it's 30 day grace period and notify the user of this change. If the machine is not activated against the KMS after the 30 day grace period it will enter a reduced functionality mode until it is able to connect to it's KMS or is changed to a MAK license key and activated with other methods. While being a legitimate service from Microsoft for volume licensing and activation of genuine copies of there software's, KMS activation process has been exploited by pirates since Windows XP and is is still done. 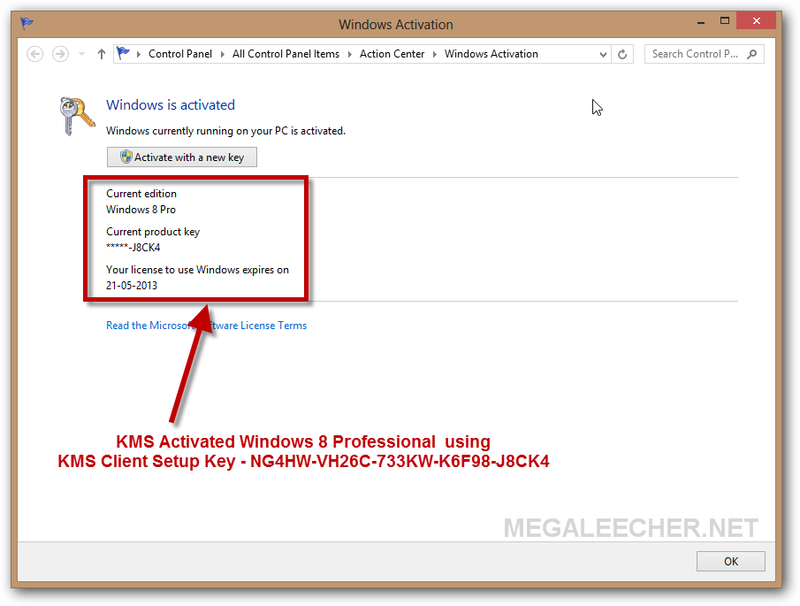 KMS activation is also the only working pirated crack for Windows 8 as all available Windows 8 activators are based on this method. Read more about What is Microsoft KMS Activation and how it works ? Offering Windows 8 at cheap prices is definitely a step Microsoft should consider to beat piracy and the recent rush to grab low priced Windows 8 Upgrade offer should testify for that. However, no matter how cheap it gets there still will be users wanting to get things for free, and for them their will always be a hack or crack to bypass copy protection and activation procedures. 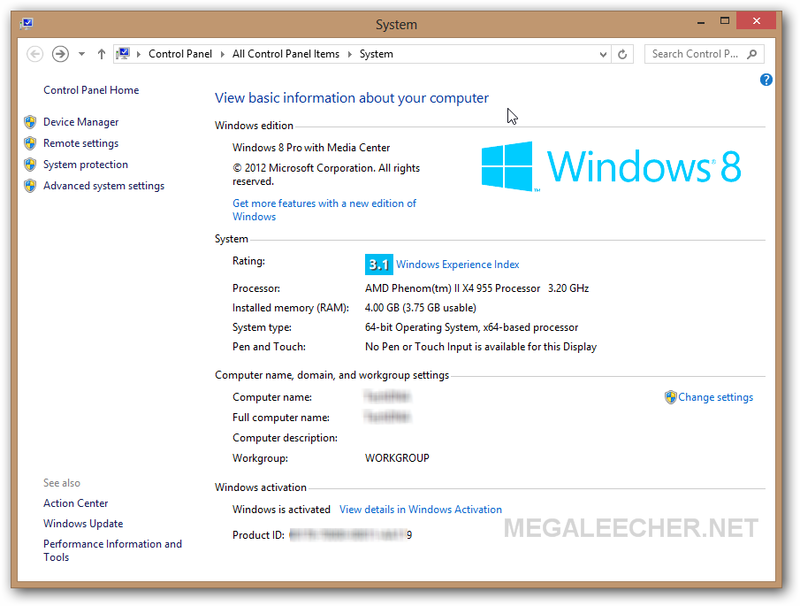 Unlike Windows 7 doing an activation crack on Microsoft Windows 8 is much harder as the operating-system features newer technology to detect and protect illegal activations. Like every other software out there pirates always find a way to beat the protection allowing mass pirating, and once again this has been done for Microsoft Windows 8.
which not only hactivates but also changes some files to make your computer look activated on all relevant screens. 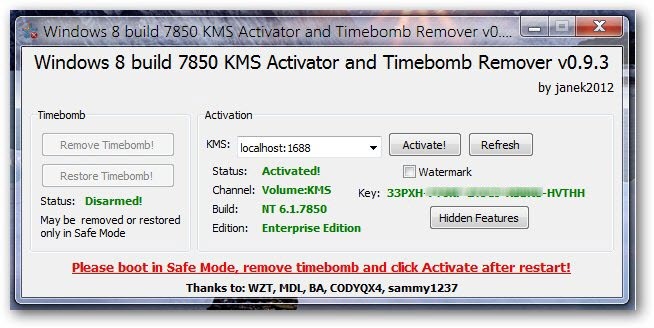 While KMS Activator For Windows 8 allows users to not only bypass the time-bomb and activate Windows 8 but also unlock hidden features, there are few other tools available to get the job done. 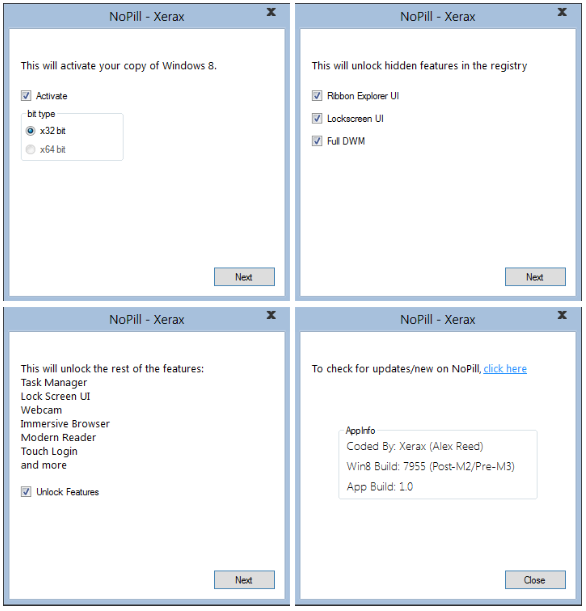 "RedPill" was one of the very first tool allowing users to unlock hidden Windows 8 features but involved manual hacking, a better alternative "BluePill" is now available allowing easy Windows 8 activation and unlock. Want more, try "NoPill" yet another Windows 8 Activator and Unlocker supporting Automatic ownership and full control of files, genuine Windows 8 activation, Ribbon Explorer UI, Touch Pattern Login, Enable Full DWM (No blur on Aero), Immersive Browser, Modern Webcam (MoCam), Modern PDF Reader, Metro UI for Welcome OOBE, Login, Lockscreen and System Settings, Aero Auto Colorization and Theme Login Screen Image (buggy) unlocks. 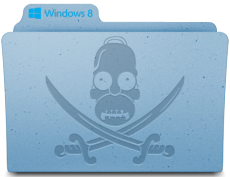 While Microsoft is trying every bit to fight piracy by new innovations and contain wide-spread use of their work-in-progress Windows 8 leaked builds by implementing a 30 day time-bomb which makes these copies obsolete after that period, crackers have now came up with a new utility "KMS Activator For Windows 8" which allows users to remove the desktop watermark, 30 day timebomb and the WGA activation limitations in a single shot from the leaked Windows 8 copies. The crack is also being actively developed adding new features like activation of hidden features in Windows 8 like RibbonUI, Modern Task Manager, PDF Reader and WebCam support.